Celebrate the 4th of July with Wichita’s biggest Independence Day party, Red White & BOOM. The party will be on Wednesday, July 4, in downtown Wichita, from 5 p.m. to 10 p.m.
Activities will take place on the Hyatt Lawn, the Lewis Street Bridge, and Water Street. There’s going to be so much going on, including a big fireworks show! Food trucks will line Water Street in Westar Energy Food Court starting at 5 p.m.
Beer garden and food trucks on the Hyatt lawn. Live concert from the local 80s dance band, The Astronauts, starting at 7:30 p.m.
Red, White & BOOM firworks show beginning at 9:45 p.m. over the Arkansas River. Bring your blankets and lawn chairs and arrive early for a good spot. Music accompanying the show can be heard throughout the festival area. Cost: The fourth of July celebration, concert, and fireworks are all FREE; bring money for the food trucks and beer garden if you would like. 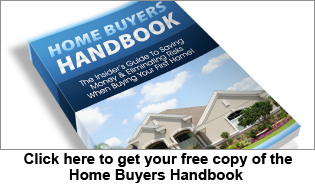 « Buying Myths, Down Payments, First Time Home Buyers, For Buyers You DO NOT Need 20% Down To Buy Your Home NOW!